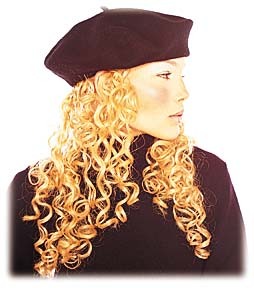 NetControl.net Archive of :: BeautyNet - The virtual salon for hair, skin and nail care. BeautyNet - your inside source for beauty, style and fashion trends. and even an opportunity to ask the pros. Check out the new BeautyNet Chat room! Blushing Up - Warm up chilly cheeks with soft shades of coral and earthy pink blush. Glamor Boys - Nail polish is becoming a trend with men of all ages. All Wrapped Up - After several seasons of linear locks, perms make a welcome comeback.